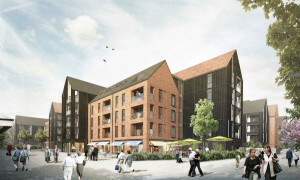 Skerritts are delighted to announce they have secured the contract to design, supply and install the Electrical Services for a new 102 Apartment Extra Care Facility together with 87 Affordable Houses and Apartments at the Arden Quarter Development in Stratford-Upon-Avon. 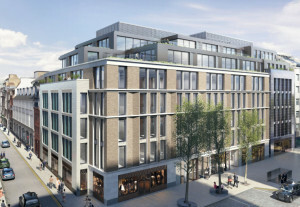 Skerritts have secured orders for three new residential projects totalling in excess of 800 one and two bedroom apartments. 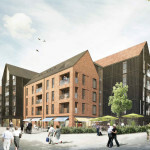 Skerritts will provide LV distribution, general & emergency lighting, small power, fire alarm, CCTV, access control, video entry and lightning protection across the three sites all of which will be designed in house, and delivered by their directly employed team of contract management, supervisors and electricians. 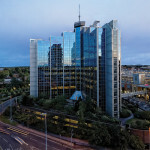 The projects, one in Basingstoke and two in Birmingham will bring the total number of successful apartment contracts completed by Skerritts to well over 1200 in the past 18 months. 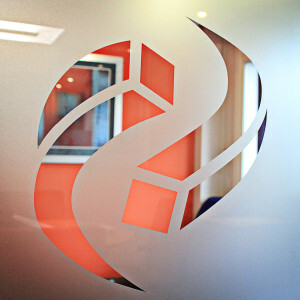 Skerritts have successfully achieved SMAS and CHAS accreditation for the next 12 months. 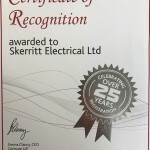 This demonstrates that Skerritts have a continuing commitment of maintaining their excellent health & safety procedures across all sites. Skerritts have been awarded the contract to design, supply, install and commission the electrical services for the new Royal Centre for Defence Medicine (RCDM) located at the heart of St Modwen’s £1 billion Longbridge community in Birmingham. 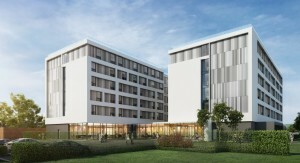 The high-quality residential facility will provide 180 en-suite bedrooms, function rooms, gymnasium, catering and support facilities for medical specialists based at RCDM who treat injured military at the city’s Queen Elizabeth Hospital. 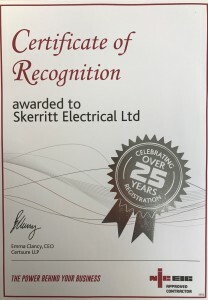 Skerritts have been awarded three new contracts to design, supply, install and commission the electrical services for four new industrial units equating to 322,500sq ft located on Industrial Parks in Redditch, Stafford and Birmingham. 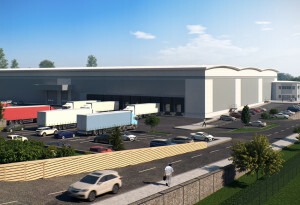 Acanthus Park in Redditch will consist of two units the first being speculative at 45,000sqft; the second at 120,000sqft which includes the Cat A enhanced fit out to the office areas and a fully automated LED lighting solution for the high bay racking within the warehouse. 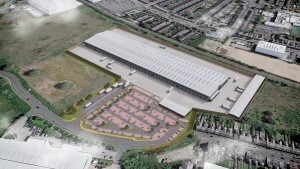 Triton at Redhill Business Park in Stafford will provide 113,500sq ft of speculative industrial/logistics space with Unit 28 at Gravelly Industrial Park in Birmingham providing 44,000sq ft. These most recent successes will add to the growing portfolio of industrial sector projects that Skerritts have completed over the past three years in locations such as Thame, Solihull and Droitwich together with the ongoing Birmingham Wholesale Markets Development at the Hub in Birmingham. 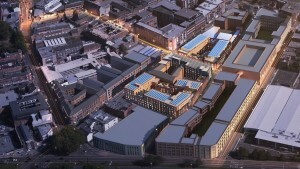 Skerritts have been awarded the contract to design, supply, install and commission the electrical services for the new Birmingham Wholesale Markets at The Hub Development in Witton, Birmingham. The 19 acre site includes the new Wholesale Market Facility together with seperate Storage, Amenity and Gatehouse buildings in excess of 240,000sq ft all served via a new HV network with 3no. packaged substations totalling 5.25mVA. This contract win follows the successful completion of two speculation office/industrial units on the same development in January 2016. 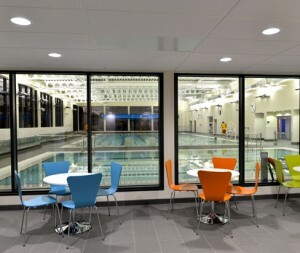 The new £8.1 million Wednesbury Leisure Centre was officially opened by the Mayor of Sandwell earlier this week. The new centre which includes a 25-metre pool, a learner pool, two dance studios, spin studio, a 100-station fitness suite and sports hall, had its official opening ceremony on Wednesday 9th December 2015. 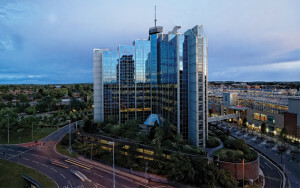 The Skerritts Team are proud to have been part of this successful project providing the full design, supply, installation and commissioning of the electrical services systems.